Majestic and imposing, the Tower of London has stood on the banks of the river Thames for nigh on 1,000 years. Within its walls, echoes of the past are everywhere and next to the Wakefield Tower you’ll find a living piece of history in the form of its most famous residents. Under the watchful eye of the Ravenmaster, six birds reside at all times, for as the legend foretells, should the ravens leave, the kingdom will fall. 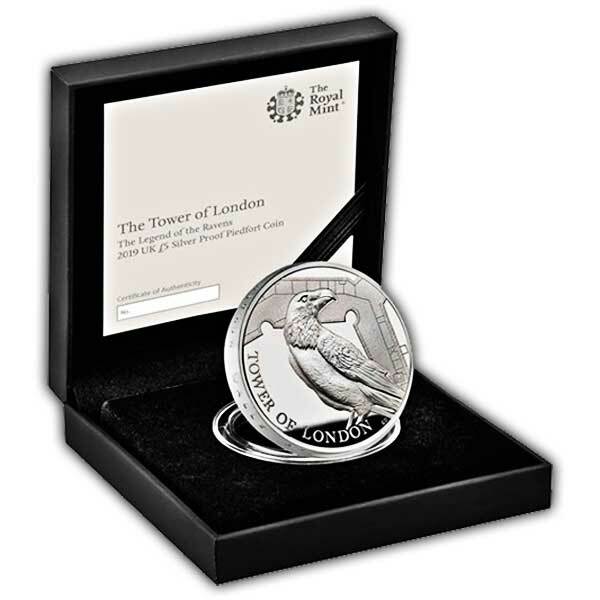 For the very first time The Royal Mint is excited to celebrate the Tower of London on a series of UK coins. 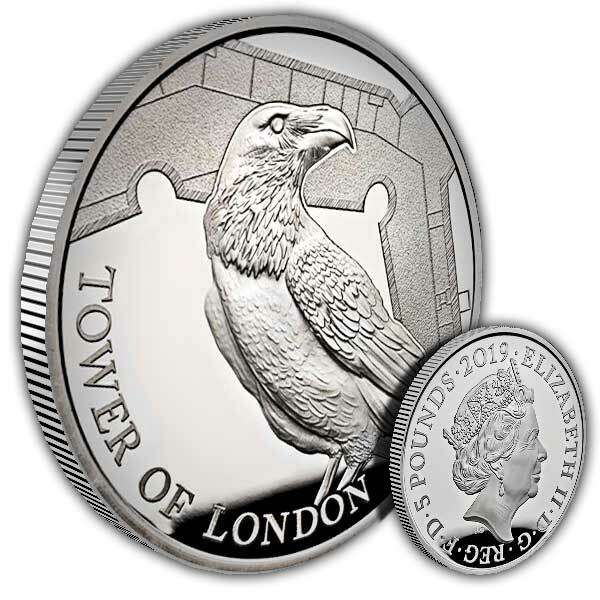 For the first coin in the collection, a brand-new design brings these Tower denizens to life – available here on a piedfort coin struck in 925 sterling silver.